CNH NEMBA: What's Everyone Up To??? I've been wrenching in the shed. 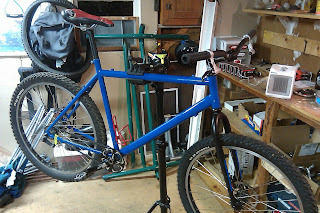 The monster cross is dead and this new winter SS is just about ready to go. 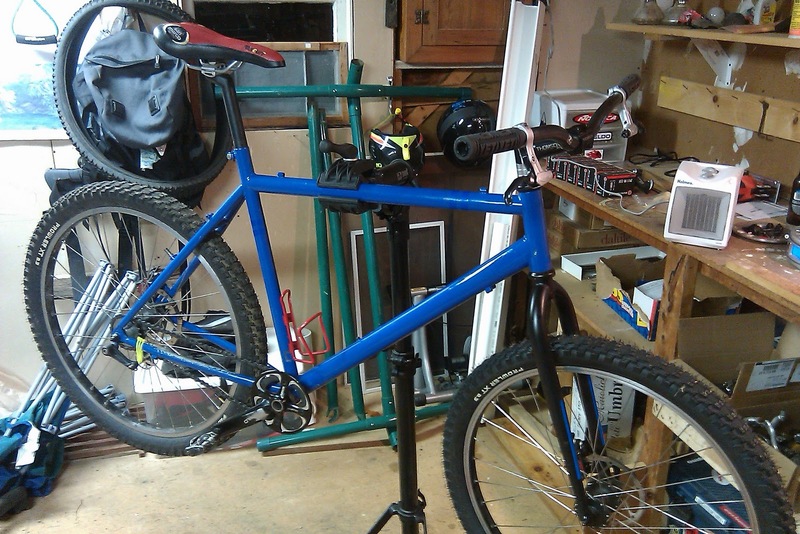 Just needs brakes cabled and about 1-2 inches of snow on the trails. I also still have my homemade stud's that I can throw on this ride. Anyone else think we should get a monthly ride going on a frozen Hop-Ev? Three rides, Jan/Feb/Mar, conditions permitting of course. Any takers?